The national flag carrier, Vietnam Airlines will transport apricot and peach blossoms for the upcoming lunar New Year Festival (Tet) on domestic flights from now until February 25. 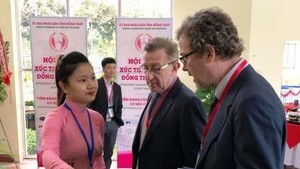 A passenger will be allowed to check in with one branch of apricot or peach blossoms, measuring maximum 150cm x 40cm x 40cm as a special ‘Luggage Consignment Service’. Transportation fees will cost around VND297, 000 (U$13) - VND473,000 (US$20). 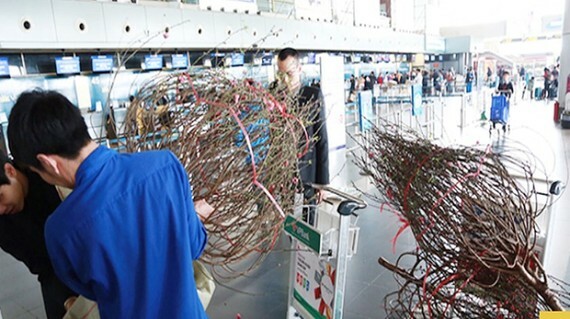 Travelers must register to transport apricot and peach blossoms at least 3 hours before departure time.